WASHINGTON (AP) — The Supreme Court appeared ready Wednesday to strike down a Tennessee provision that requires people to live in the state for two years before obtaining a license to sell alcohol. Several justices said the restriction unconstitutionally discriminates against out-of-state economic interests, despite strong state interests in regulating liquor sales. 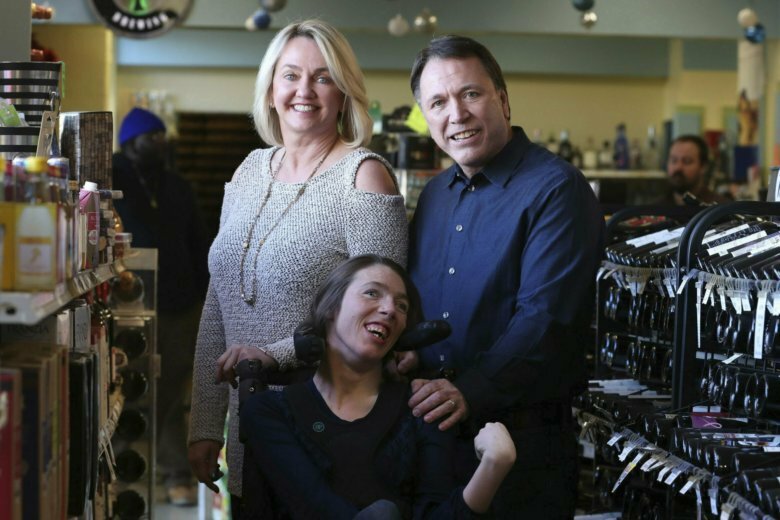 A ruling invalidating the residency requirement would be a victory for a family that bought a Memphis liquor store and moved to Tennessee from Utah in search of a healthier climate for their disabled adult daughter. Justice Neil Gorsuch was among justices who worried that getting rid of the residency law would help enable online alcohol sales with no state regulation. “You want to be the Amazon of liquor,” Gorsuch told a lawyer for a liquor store chain that opened an outlet in Tennessee. The arguments took place on the 100th anniversary of ratification of Prohibition, the constitutional ban on the manufacture and sale of alcohol in the U.S. The amendment didn’t take effect until 1920. But the case involved the amendment that actually ended the Prohibition era in 1933. The 21st Amendment also left states with considerable power to regulate the sale of alcohol. The requirement to live in the state for two years makes it easier for authorities to do background checks and seize a liquor seller’s financial assets if necessary, and makes it less likely someone will flee, said Shay Dvoretzky, a Washington lawyer who is representing the Tennessee Wine and Spirits Retailers Association. Thirty-five states and the District of Columbia also are urging the court to uphold the two-year residency requirement. But in one oddity of the case, Tennessee itself has essentially stopped defending the residency requirements. “You’re representing quite a number of states, including Tennessee, I guess? Maybe?” Justice Elena Kagan said to Illinois Solicitor General David Franklin, who argued on behalf of the states. Not even the retailers’ group is defending a longer requirement that people live in Tennessee 10 years before a liquor license can be renewed. Both residency provisions were struck down by lower courts. Justice Brett Kavanaugh was among members of the court who said the provisions seem to be pure economic protectionism that were designed to discourage competition. “The problem I’m having is the text of the 21st Amendment does not support that,” Kavanaugh said. He suggested that the amendment was intended to allow states to remain “dry,” banning the sale of all alcohol if they wished. The case began when the retailers association opposed the issuance of licenses to Doug and Mary Ketchum, who moved to Tennessee because of their daughter’s disability, and Total Wine Spirits Beer & More in Knoxville, Tennessee, part of a national chain with nearly 200 stores in 23 states. The Ketchums operate Kimbrough Wines & Spirits in Memphis. Their 32-year-old daughter, Stacie, has cerebral palsy and suffered serious respiratory problems in Utah. A decision in Tennessee Wine and Spirits Retailers Association v. Blair, 18-96, is expected by late spring.